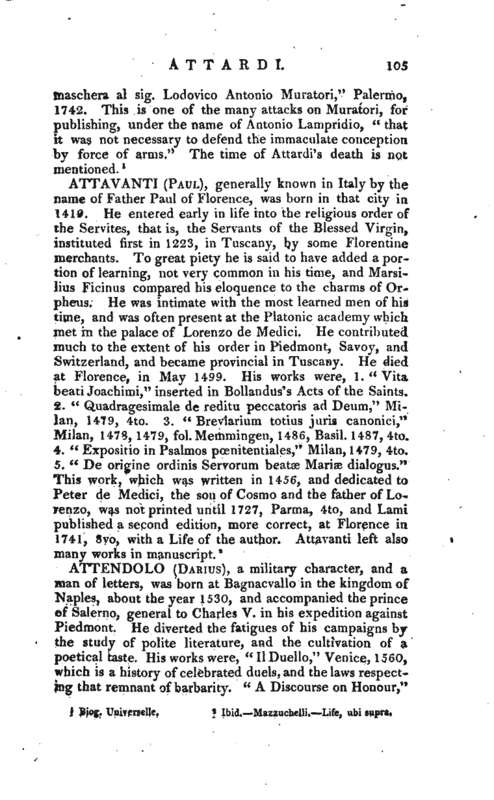 , an Augustin monk, was torn at St. Philip of Agire, or Argire, an ancient town of Sicily, and became professor of church history in the university of Catania, and in 1758 provincial of his order in Sicily and Malta. 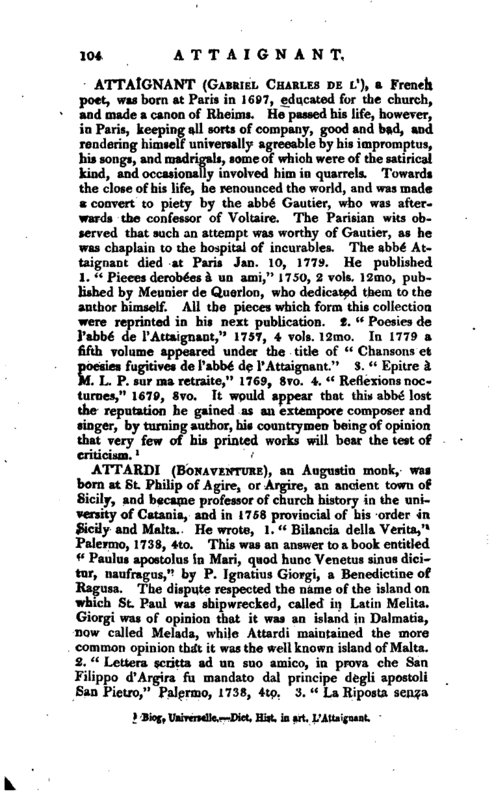 He wrote, 1. a Bilancia della Verita,“Palermo, 1738, 4to. This was an answer to a book entitled” Paulus apostolus in Mari, quod hunc Venetus sinus dicifcur, naufragus," by P. Ignatius Giorgi, a Benedictine of Hagusa. The dispute respected the name of the island on which St. Paul was shipwrecked, called in Latin Melita. Giorgi was of opinion that it was an island in Dalmatia, now called Melada, while Attardi maintained the more common opinion that it was the well known island of Malta.